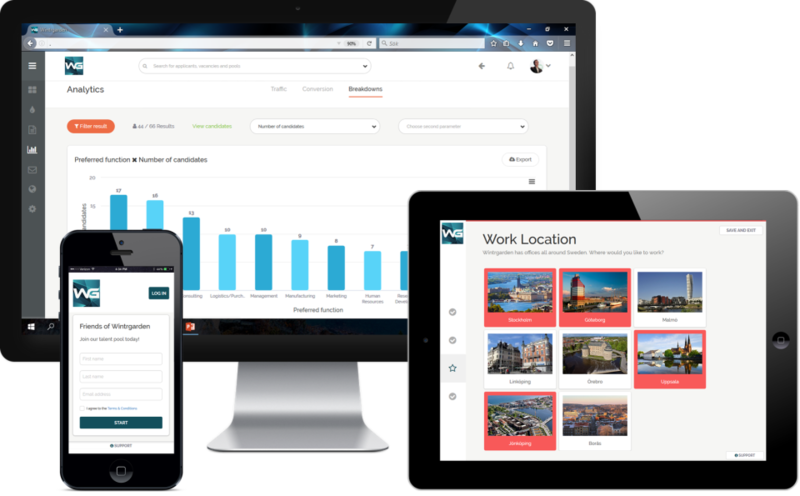 Wintrgarden lets companies capture interest directly from their talent touchpoints in order to build, nurture and measure talent relationships. The majority of talent interacting with your company brand isn't ready to apply for a job in your Applicant Tracking System. This leads to missed opportunities for both you and your candidates. Talent Relationships Management means initiating the candidate dialogue earlier, and putting you in control of your talent pipeline.